(AP) JEFFERSON CITY, Mo. 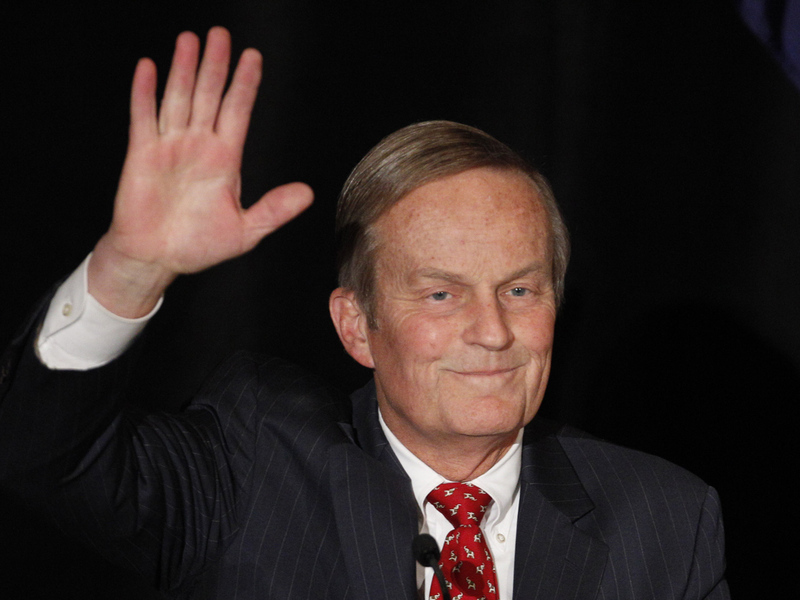 - Congressman Todd Akin has won a hard-fought Republican primary for the right to challenge Democratic U.S. Sen. Claire McCaskill. Akin on Tuesday topped businessman John Brunner and former state Treasurer Sarah Steelman in a primary in which all three leading candidates portrayed themselves as the top conservative choice. McCaskill was unopposed in the Democratic primary. The 65-year-old Akin first won election to a suburban St. Louis seat in the U.S. House in 2000 after narrowly prevailing in a five-way Republican primary. He campaigned for Senate by highlighting that he was once ranked as the most conservative member of Missouri's congressional delegation. Akin may have also gained some support from McCaskill, who ran a TV ad focused on Akin's conservative credentials while concluding he is too conservative.